Today, English for specific purposes (ESP) in its various aspects is taught all over the world. In Russia, ESP is a requirement of tertiary education. Educators must develop students' language proficiency relative to professional communication, with respect to the new Federal State Educational Standard. The academic staff of the Linguistics Department at Bauman Moscow State Technical University (BMSTU) skillfully combines traditional teaching approaches and modern techniques. This chapter discusses modern trends in teaching ESP at Russian technical universities and looks into current approaches in this field. The chapter may contribute to a better understanding of primary challenges in ESP, which must be considered when implementing the Federal State Educational Standard. English language proficiency for an engineer is no longer a luxury since English is consistently replacing all other languages around the globe and has become an international language. In the dynamic international context of global information exchange, the professionals of any industry need a tool that can actually enable effective professional communication. That tool is a professionally oriented language—in other words, English for Specific Purposes (Hutchinson & Water, 1987). Since it was first discussed in the 1960s (Swales, 1971) English for Specific Purposes (ESP) has represented a separate direction in teaching English as a foreign language (Strevens, 1988). This aspect of English Language Teaching (ELT) has developed considerably and taken a leading position in teaching English at Russian technical universities (Prudnikova, 2013). But the term ESP, as it is known now, began to be widely used by Russian educators only in early 2000 when the concepts of the Bologna process were considered. At that time the main class activities at BMSTU were reading, translation and learning terms. Since 2009 new tertiary education standards have been elaborated in Russia. 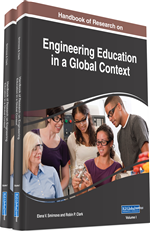 According to them, students' engineering skills are divided into professional and wider cultural (interpersonal) (State educational standards, 2009). The development of a professional communication competence has become a primary task of the university education and the main trend in teaching English at Bauman University. Actually, the level of English proficiency among students at Russian technical universities is very diverse, and often leaves much to be desired. Students are often disappointed when they graduate from universities and face the real situation in the workplace where they will use their ESP background. Their communication competence is often inadequate to meet the requirements of the professional world they enter. It becomes evident when engineering students apply for well-paid jobs in international companies where applicants are required to pass the job interview in English. Unfortunately, the graduates of Bauman University quite often fail it. During traditional annual reunions the alumni of Bauman University admit that they can easily read, understand and translate various English texts dealing with their fields of engineering, but the main challenge for them is communication with their foreign colleagues. They feel the lack of speaking skills since they often are not able to discuss ideas or to negotiate projects with their foreign partners at a professional level. Besides, at the Russian labor market professionals with good command of spoken English have much more opportunities for their career development. Big companies and enterprises, such as Boeing, Cisco, Unilever and others, promote their Russian employees with high proficiency in English more readily. But a typical course in English at a Russian technical university usually does not provide students pursuing either academic or professional and business careers with sufficient or even adequate speaking skills. That is why most graduates feel discontented with the syllabus that was taught, which they find does not meet their needs. Many must rely on extra lessons to learn how to communicate effectively with overseas colleagues (Frumina & West, 2012). Teaching a foreign language is an integral part of professional training. A foreign language course is multilevel, and developed in the context of lifelong learning. Learning a foreign language occurs on an integrated, interdisciplinary basis. Foreign-language training aims at comprehensive development of communicative, cognitive, informational, sociocultural, professional, and general cultural competence of students (Basturkmen, 2006). Vocational Education: Tertiary qualification level when theoretical teaching is accompanied by practical experience. Blended Learning: An English course combining traditional classroom activities with online learning and multimedia resources. Communication Skills: Skills for effective spoken communication, promoting free-flowing communication, when you are able to express your ideas and views clearly, confidently and concisely. WebQuest: An inquiry-oriented lesson format in which most or all the information that learners work with comes from the Internet. It can be created using various programs, including a simple word processing document that includes links to websites. Vocationally Oriented Training: Applied educational courses concerned with skills needed for an occupation, trade, or profession. Multimedia Technology: A technology involving interactive, computer-based applications that allow people to communicate ideas and information with digital and print elements. Teaching Approaches: An approach is a way of looking at teaching and learning. Underlying any language teaching approach is a theoretical view of what language is, and of how it can be learned. An approach gives rise to methods, the way of teaching something, which use classroom activities or techniques to help learners learn. Bauman University: Bauman Moscow State Technical University (BMSTU) is a center of higher education and research engineering. It was founded in 1830 and offers study programs leading to Bachelors and Master degrees, Diploma of Engineer, Ph.D., and Doctor of Science in various engineering majors. English for Specific Purposes (ESP): Teaching English (as a part of English as a Foreign Language) at a tertiary level institution or in a professional work situation. Project Work: A learning experience which aims to provide students with the opportunity to synthesize knowledge from various areas of learning, including a foreign language, and then critically and creatively apply it to real-life situations.